Absender Pro is now available! Posted on November 23, 2018 | by Remedy667 | Leave a Comment on Absender Pro is now available! 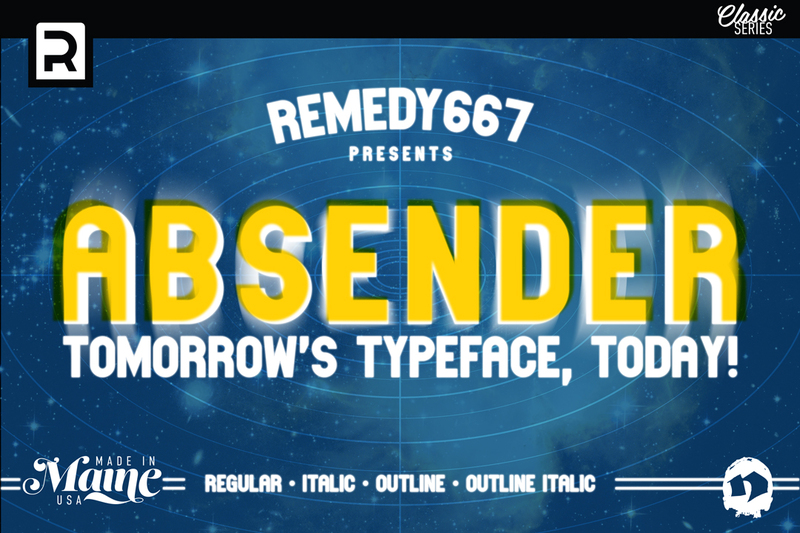 Seven years ago, the brave folks at Remedy667 released a typeface that would become their most downloaded to date, Absender. Originally released in the spring of 2011, Absender, was designed as a mono-spaced display typeface. We speak briefly with its creator, Nick Polifroni, about the font.